Bayer MaterialScience has announced it is stopping its work on carbon nanotubes (CNTs) in order to focus its development activities on areas more closely linked to its core business. Bayer MaterialScience has been collaborating with external partners in recent years to resolve issues related to the safe production of specific carbon nanotubes. Methods for scaling up the production processes were developed, as well as new catalysts and types of products.Much of this knowledge was made available to other companies and research institutions within the Innovation Alliance Carbon Nanotubes (Inno.CNT), which has roughly 90 members. 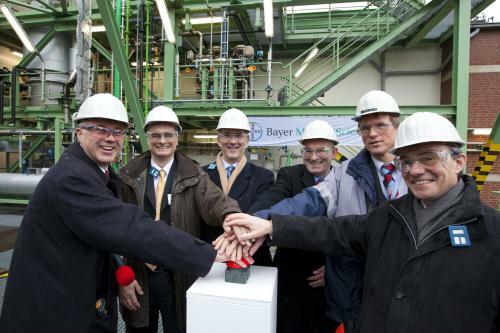 “We remain convinced that carbon nanotubes have huge potential,” says Patrick Thomas, CEO of Bayer MaterialScience. “For Bayer MaterialScience, groundbreaking applications for the mass market relating to our own portfolio and therefore comprehensive commercialisation are not likely in the foreseeable future,” he says. All 30 people employed in the CNT sector will be transferred to other positions within the Bayer MaterialScience group. Bayer MaterialScience’s business activities are focused on the manufacture of high-tech polymer materials for the automotive, electrical and electronics, construction and the sports and leisure industries.